The beauty of pearls is returning, in the old fashioned luxurious way. Pearls used to be worn to show wealth amongst people, those who wore them would style them to stand out, with a pearl necklace, bracelet or earrings, and the pearl would be the main centre piece of the jewellery and the outfit. But modern times makes this freshwater gem to be something more chic and edgy. 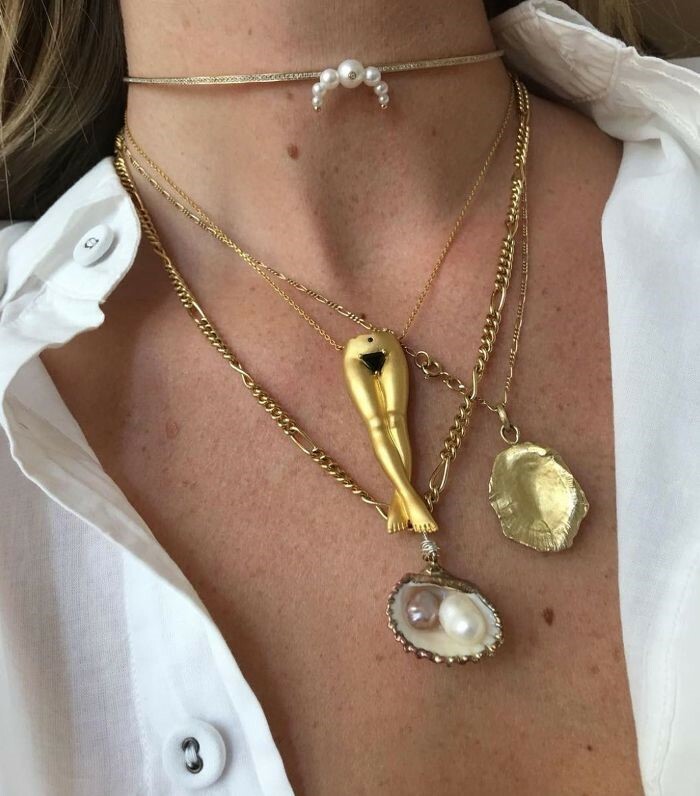 Instead of the big bold statement pieces, they are made smaller and included as a rather side note to the rest of the jewellery but still adding to the beauty. For example, this necklace (below), it may not be strictly just pearls like how they would wear them previously, but it instead incorporates a theme of the ocean with the pearls being included as little accent statements. With pearls being the centre piece for the ‘choker’ necklace, and delicately placed inside a gold rimmed oyster shell. Pearl prices can vary but grab yours whilst the trend is hot. Be it a simple pearl student earring set, a pearl necklace, or even a layered necklace with pearl accents, pearl bracelets or anklets, the list is endless. Make sure you check out our beautiful range of Pearl Jewellery before you go!